The Aïshti loyalty program offers a range of benefits from fashion to lifestyle, spa treatments, fitness and fine dining. It’s a three-tier program that gives everyone a chance to access its many benefits. It’s simple: the more you spend, the greater the reward. Once you open an account and make a purchase of $2,000 on the same day, you will immediately earn a $250 gift voucher with the Orange and Black loyalty card. If you sign up with the Aïshti Platinum credit card you will get the chance to receive a $500 gift voucher. All first subscribers have the opportunity to win a free one-month membership at Urban Retreat Gym, plus complimentary spa and salon treatments. 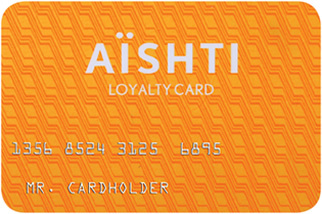 The Aïshti Loyalty Program offers a number of perks through its Orange Card ($0-$9,999 a year) including a 3% gift voucher, advance notifications of private sales and promotions, and invitations to private events. 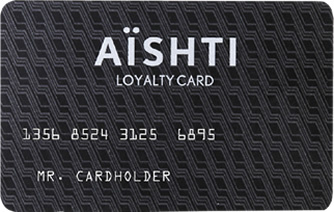 The Black Card (more than $10,000 a year) earns you an 8% discount on all Aïshti purchases, a 3% gift voucher, a gym kit, free subscriptions to A Mag and L’Officiel Levant, home delivery for purchases over $4,000, advance notifications of private sales and promotions, invitations to private events and free entrance to the Aïshti Foundation. Aïshti and Bank Audi teamed up to launch the Platinum credit card, which comes with numerous benefits. You can begin your reward program with 1,000 bonus AïPoints as soon as you open an account with the card, specially designed for loyal customers seeking access to luxury brands and a unique customer care experience. Once you register your card and reach a balance of 2,000 AïPoints, you will be able to redeem them against a gift voucher of $100. More benefits include a 10% discount on Aïshti purchases, yearly packages to international fashion events, a chance to win a $500 gift voucher, a 4% gift voucher twice a year, discounts at Ï Day Spa, Urban Retreat Spa and People restaurants, a free gym kit upon yearly gym membership and free access to VIP airport lounges across the MENA region. 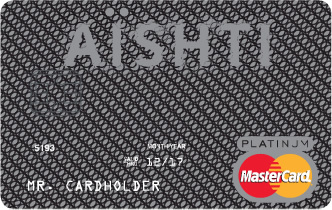 To find out more about the Aïshti Platinum credit card kindly click here.